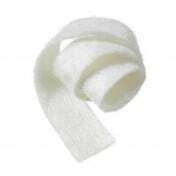 Ultra flexible Biatain® Silicone Lite 33444 by Coloplast is bendable and thin to increase movement in application area which is especially helpful for wounds at a joint. This allows you to bend leg, foot or arm freely and be active during the healing process. The soft silicone adhesive offers strong adhesion during movement without causing discomfort when dressing is changed. 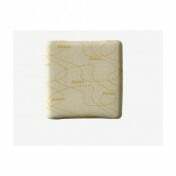 This 3 x 3 inch dressing has a three-dimensional polymer foam pad that comfortably forms to the wound bed. The foam is designed for wounds with light amounts of exudate from leg ulcers, pressure ulcers, donor sites and skin abrasions. 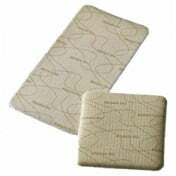 The foam pad also creates a moist wound environment needed for faster healing. 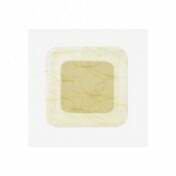 Its top layer is bacteria and waterproof to prevent outside contaminants from entering while allowing moisture vapor to escape. Biatain Silicone Dressing is packaged sterile and with its 3-piece application, it's fast and easy to apply with less risk of ruining the adhesive. Once the dressing is in place it can protect the wound up to a week making it very cost-effective dressing. 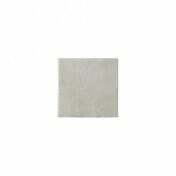 When needing an extra absorbent dressing for a highly exuding wound, try Biatain Silicone Foam dressing.